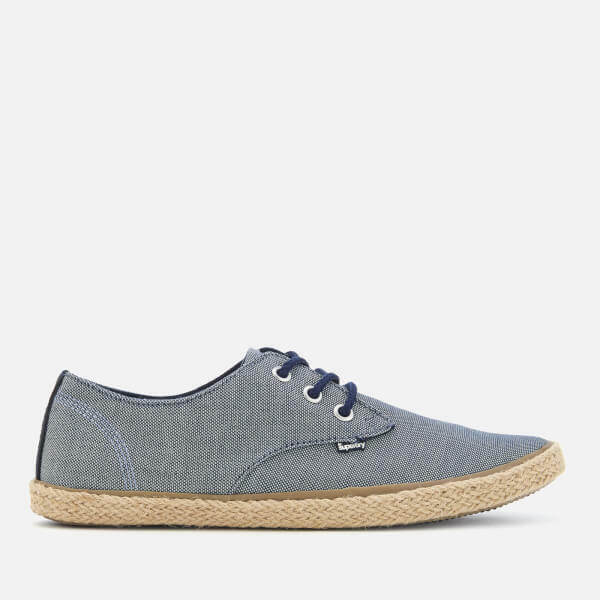 Men's 'Skipper' shoes from Superdry with a textured woven upper. 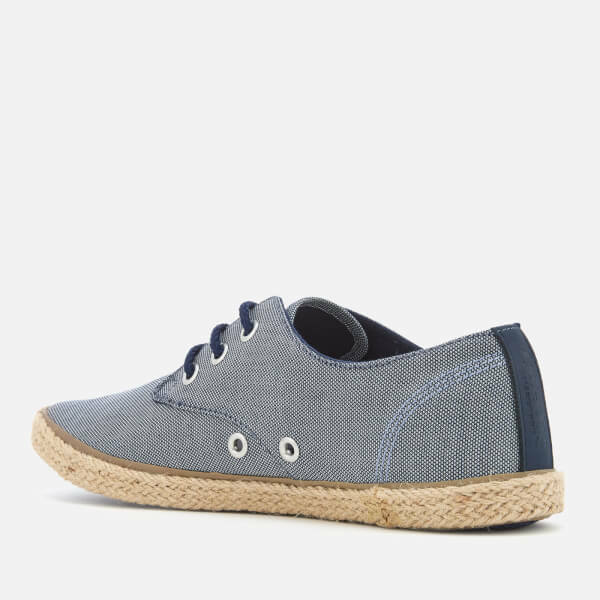 The low top pumps comprise a rounded toe, a lace-up fastening and silver-toned eyelets. An embossed leather strip features on the heel. 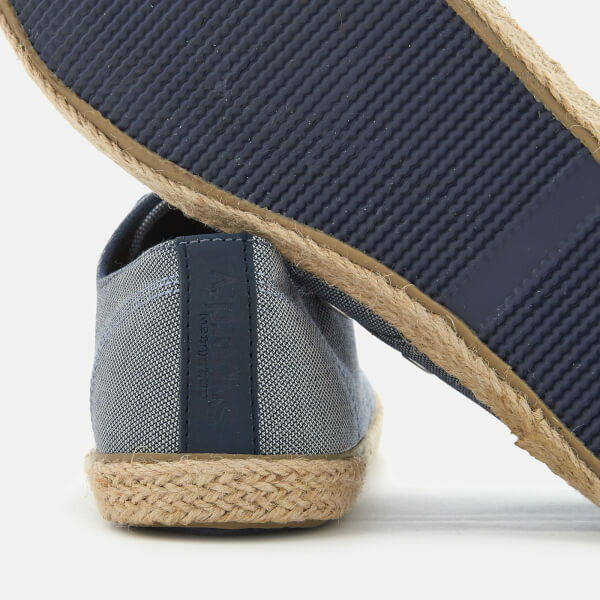 Set on a braided hemp sole with a patterned rubber tread for optimum traction. Side ventilation eyelets enhance breathability. Complete with branding to the tongue, footbed and outer side. Upper: Cotton/Polyester. Lining: Cotton. 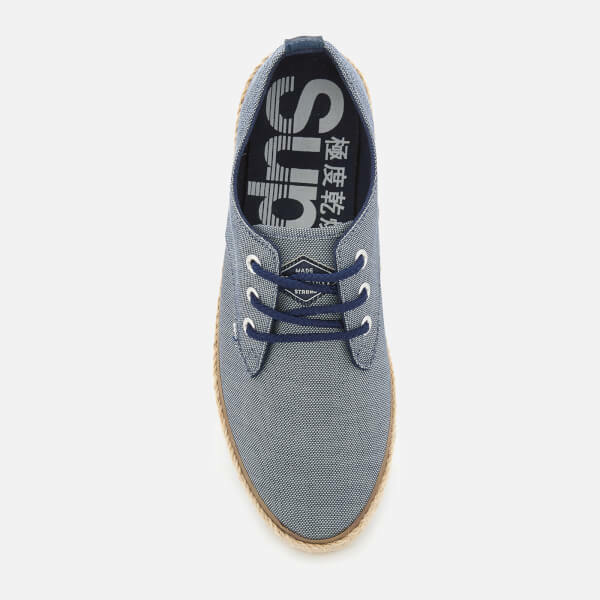 Sole: Rubber/Hemp.